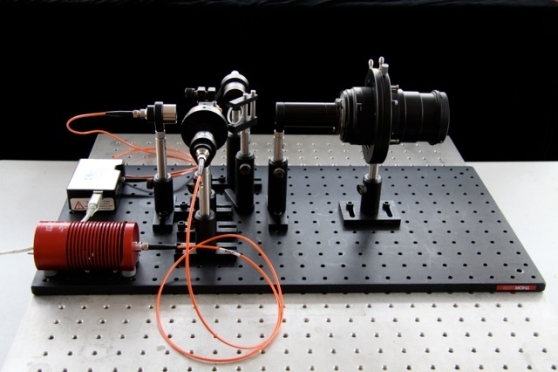 Our optical laboratories provide a suitable environment for building and testing prototype systems. Our laboratories have blackout blinds and optical benches to provide a controlled environment. Access to the adjacent laser and imaging range is also possible from systems set up on the benches within these laboratories. We have a wide range of specialist equipment including emission sources (blackbodies, lamps, lasers), optical components (lenses, filters, mounts, fibres), light and power meters, photodetectors and cameras.